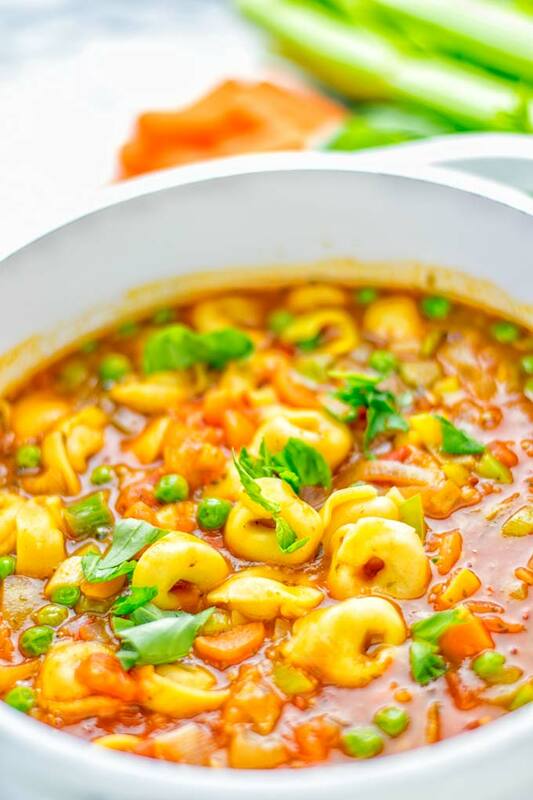 This Minestrone Tortellini Soup is the epitome of comfort food. It’s entirely vegan, gluten free, and made in one pot. There was something before my vegan days that I always adored. I was so into tortellini. Seriously this was one my favorites. I liked them bigger, smaller, and with different fillings. Only recently, I was super happy when I found a bag of vegan tortellini in the store. Not only that but they were also gluten free. You know I’m all about comforting soups. 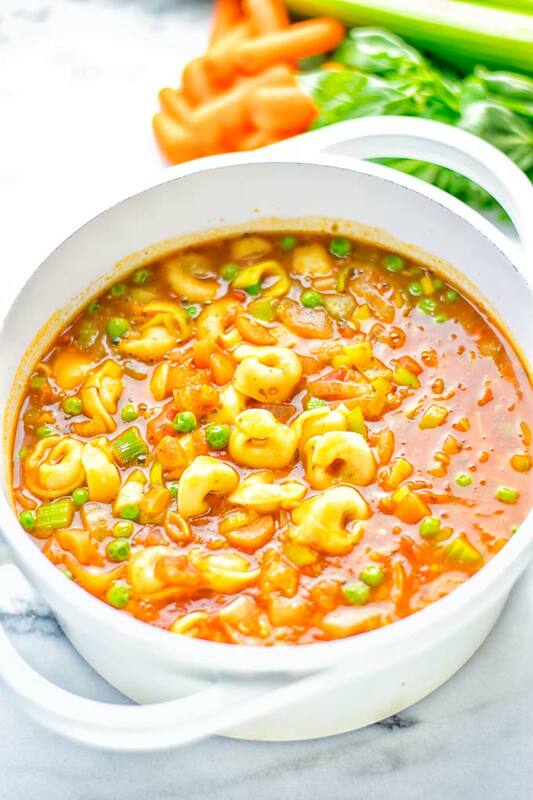 Using vegan tortellini isn’t something new to you and me, as you have already seen in my Creamy Alfredo Tortellini Soup or the Aioli Tortellini Salad. If you haven’t tried these yet, please do. Both recipes are so delicious and super easy to make. 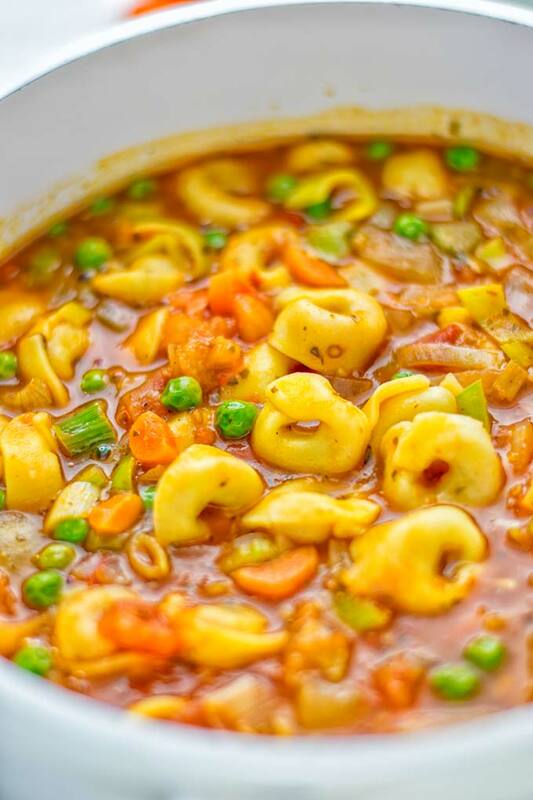 You can be sure this new Minestrone Tortellini Soup is: super satisfying, comforting, warming, fresh, homemade, packed with amazing flavors, savory, excellent. Also a breeze to make in one pot, no need for many extra bowls or pots. It’s basically a vegetable soup, so it can be naturally plant based. But there are some version which are made with chicken stock and parmesan. It depends, some add chicken, sausage, bacon and from time to time you will find bread croutons on top with cheese like mozzarella. Heat a large pot with a bit of oil or vegetable broth. Add vegetables, garlic and fry everything for around 5 minutes. Next add vegetable broth, tomato sauce, Italian seasoning, and vegan tortellini. If you want also give the optional white beans to the mix. Season with salt and pepper and cook for around 8 minutes. Serve in bowls and sprinkle optional with a good pinch of vegan Parmesan. That’s all couldn’t get any easier. 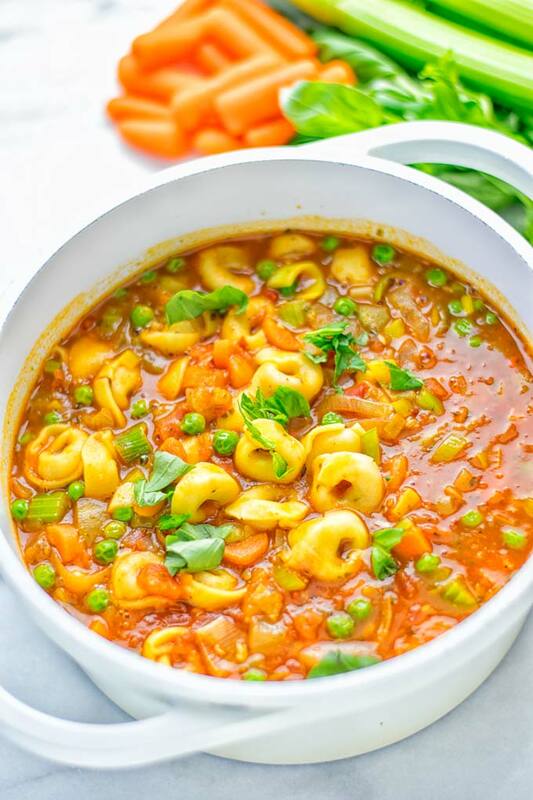 All you need is one pot for this Minestrone Tortellini Soup. 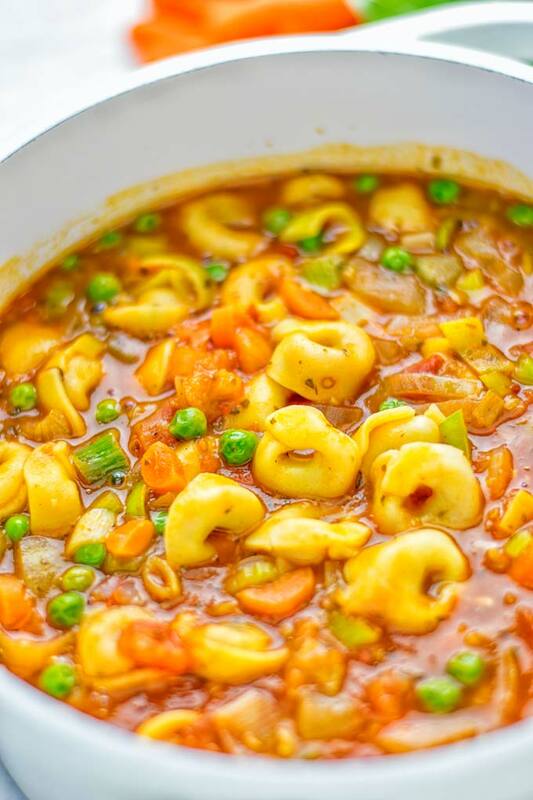 One note you can find vegan tortellini fresh or frozen. If you can’t get them, try online. Also if you aren’t plant based just use your meat or cheese favorite. This makes an amazing dinner or lunch that the whole family will love. 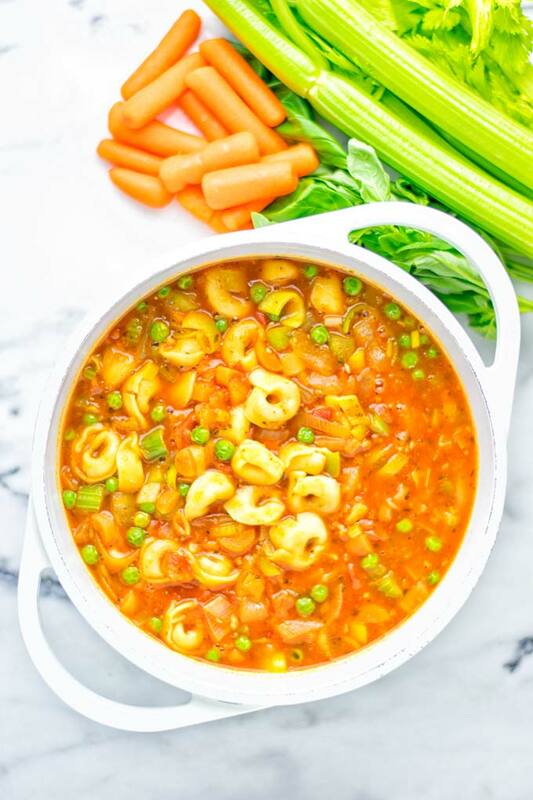 Also the Minestrone Tortellini Soup is fantastic for meal preparation, to bring as work lunch, and also something that will impress your sweet heart at date night. It’s a keeper for many occasions and will be gone in seconds. If you never tried or heard about Italian seasoning, you have missed a lot. 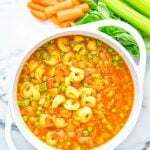 It’s such a wonderful addition to this soup and really takes it to another level. Italian seasoning is a mix from dried herbs like basil, oregano, rosemary, marjoram, and thyme. There is absolutely no need to make a homemade Italian seasoning. You can find them always at your favorite store. But if you don’t like it, or maybe one herb isn’t your thing, just make your own. Choose your favorite herbs like basil, oregano, rosemary, marjoram and adjust all the quantities to your own liking. Start with a Tbs each and go from there. If you’re not a fan of one of these herbs, just leave it out or use a tiny amount for your seasoning. On the other direction if you’re a big fan of one herb, add more from there you can easily mix your own seasoning mix. I love seeing all your remakes with a tag on Instagram or Facebook. 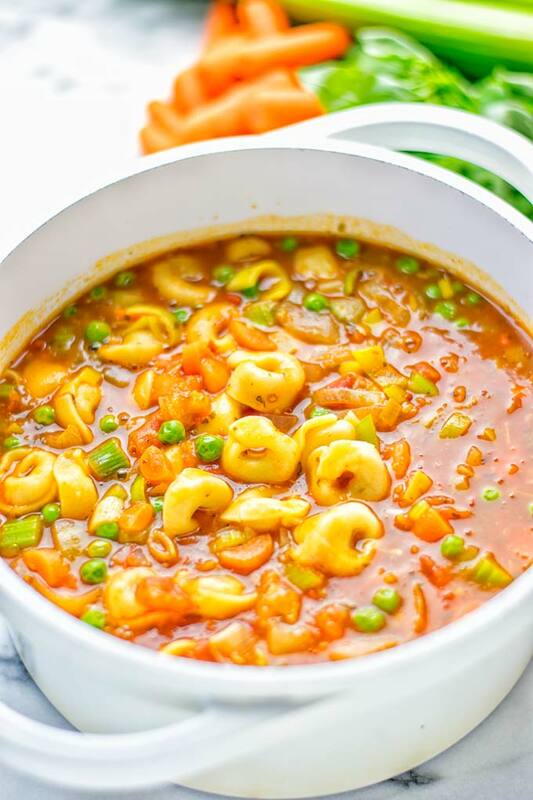 Snap a picture and let me know what you think about this Minestrone Tortellini Soup. Next add vegetable broth, tomato sauce, Italian seasoning, and vegan tortellini. If you want also give the optional white beans to the mix. Season with salt and pepper and cook for around 8 minutes. If the tortellini aren’t done yet, let simmer until they are. WHere do you get gluten free vegan tortilini? Hi Lauren! I got them at a local store here in the Netherlands! Hi there! 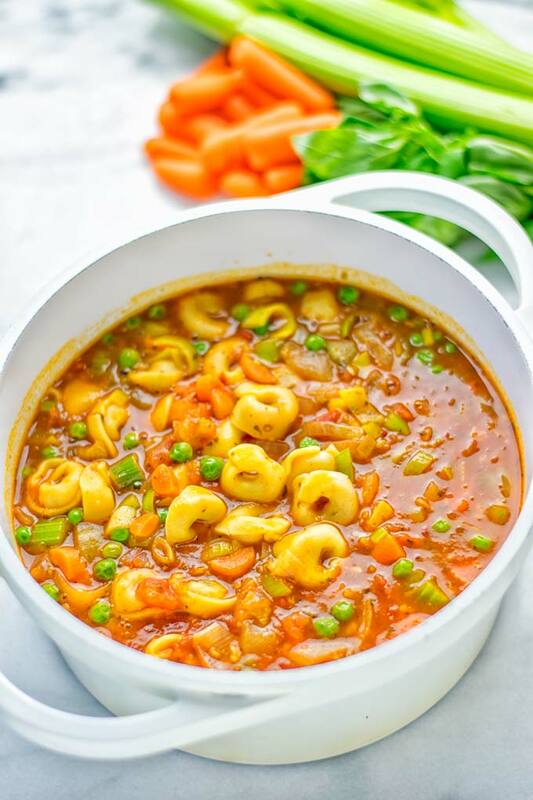 If I have frozen tortellini do you suggest defrosting it a day before cooking this recipe or put it in frozen to cook with the rest of the ingredients ? Thank you in advance! Hi Ronnie! The tortellini should be thawed!